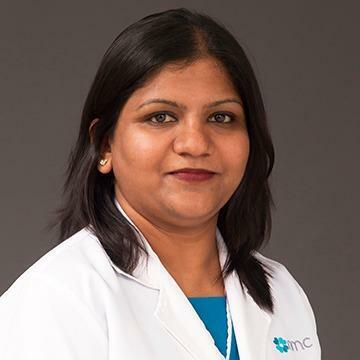 Dr. Sindhu Ravishankar hails from Bangalore, India and completed her MS in Obstetrics and Gynaecology from PSG Institute of Medical Sciences and Research, affiliated to Dr MGR Medical University, Chennai,Tamil Nadu, India. Dr. Sindhu has worked in Cloudnine Maternity & Childcare Hospital in Bangalore as Registrar, where she managed all kinds of obstetrical & gynecological, high risk patients and emergencies. She has also worked in Iswarya Women's Hospital & Fertility Centre, Coimbatore, where she has gained experience in managing high risk pregnancy and gynecological surgeries. Dr. Sindhu has extensive experience as Specialist in Obstetrics and Gynaecology. As a Specialist Gynecologist, she has performed and assisted in more than 1000 vaginal deliveries, caesarean sections, caesarean hysterectomies, laparotomies. She specializes in managing normal and high risk pregnancies. Dr. Sindhu has publications, articles and scientific presentations to her credit. Dr. Sindhu speaks English, Hindi, Kannada, Telugu and Tamil.